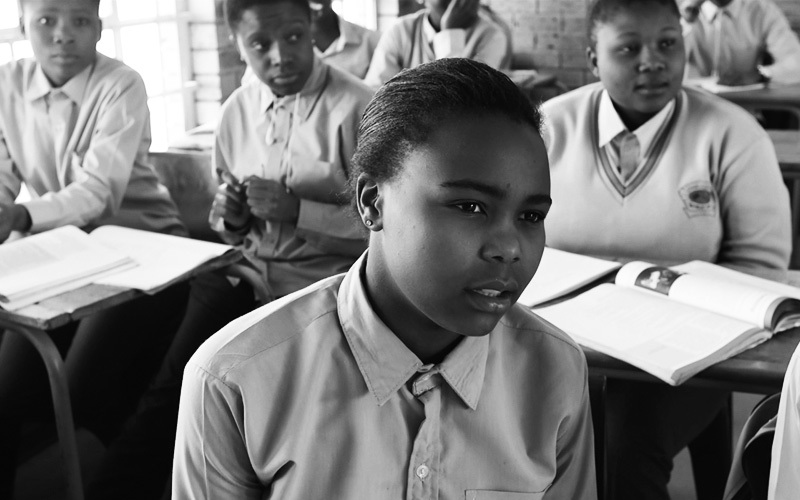 How a challenge of quality education gave birth to a solution that would impact young South African scholars in disadvantaged areas. From its inception, The Africa Leadership Initiative (ALI) has always recognised the need to push some of the most profound and influential leaders in Africa (from their current successful positions) to assume more significant roles in their communities and beyond their current areas of influence. These leaders have all developed projects that are geared at helping communities rise out of poverty to form a good society. In this section, we take a look at Teach South Africa; an initiative that has been a success over the last 7 years. This initiative was conceived through the Africa Leadership Initiative programme by Dr. Futhi Mtoba and Dr. Mothomang Diaho who were in class II, Kilimanjaro. In 2009, when the country was faced with an urgent need for quality education, and the government was struggling to cope with the shortage of quality teachers for gateway subjects such as Maths and Science, a few of the ALI Fellows put their heads together and sought to find a solution. As part of the ALI programme, it is a requirement for each Fellow to start or join a social project that has the potential of making a positive impact in the societies they live in or wish to serve. Dr. Futhi Mtoba and Dr. Mothomang Diaho (who are both ALI alumni), along with Mr. Richard Masemola, took on the education challenge as an opportunity. They observed that by 2025, the number of learners would have increased by approximately 7% and therefore the demand for teachers will also increase. This solidified their stance on tackling the challenge of teacher shortages in South Africa. They came to this conclusion: “By training and developing the brightest graduates to become teachers, we can work towards the requirements of the education system, whilst also ensuring that young people in South Africa receive a quality education”. As a result, they co-founded a non-profit organization called Teach SA. What is Teach South Africa? Teach SA is an induction programme that recruits the most talented graduates fresh out of tertiary, and trains them to become great ambassadors in the field of teaching. Through a thorough induction process, these bright graduates are taught teaching skills for the classroom environment; and are supported through mentorship and peer collaboration. After their preparation, the graduates are then placed into under-privileged communities where they contribute two years of their time as teachers. The Teach SA project proved to be a success. Since 2009, it has placed almost 438 ambassadors in 211 schools across 8 provinces, and has impacted over 40 000 learners. What’s also impressive to note is that over 50% of the Teach SA ambassadors have remained in the teaching profession after completing their 2 years with the programme. Teach SA prides itself on being driven by the youth—who are the ambassadors, as well as the learners themselves. The organization is determined to get qualified, young ambassadors into classrooms, because young ambassadors serve as relatable role models to learners in the primary and secondary schools. The youth, which makes up the bulk of Teach SA ambassadors, is a healthy indicator for the future of education. If you speak to some of the ambassadors, it is clear that their lives are also impacted as a result of the Teach SA induction process. The Teach SA experience has a significant impact in their lives, in their personal as well as professional capacities. This is largely due to the helpful and practical support they receive through Teach SA. They later understand that being a teacher is not easy, and through this intense personal challenge: they develop an advanced set of leadership, communication, and problem-solving skills. At the same time, they gain an understanding of educational inequity, and the solutions thereof. Teach SA as a success story has extended beyond the teach ambassadors, who are the driving force of the organization. The impact has rippled into the young school learners as well. They too have stories worth sharing. Notably, last year, a Grade 11 scholar, Bongiseni Dlamini from Zonkizizwe Secondary School in Katlehong, received a scholarship to finish his secondary schooling in Russia. This learner has attributed some of his success to three Teach SA ambassadors who taught him at several stages of his education. He was taught namely by Lindi Ngwenya (English), Thabo Thage (Maths) and Tichkhura Manyere (Physics). Bongiseni has since been admitted to study in a prestigious college in the United States of America. It is stories like these that give us the assurance that we are on the right track as the Africa Leadership Initiative. Since our inception, our mission has always been to empower values-based leaders who are prepared to accelerate South Africa’s development, and to lead their cause with integrity. Teach SA, a project initiated by two of our Fellows, has exemplified what we stand for; Integrity, Values, and Societal Development. With a strong buy-in from government, Teach SA has now fast-tracked it’s dream of growing the organization and placing more ambassadors in schools. And for that, we are proud. As always, it is remarkable to witness a project that was birthed through the Africa Leadership Initiative programme grow to impact the community, and the country at large.